Alcohol Use Disorder (AUD) is a new and increasingly popular term used to describe the misuse of alcohol. The phrase is being used progressively by celebrities and seems to cover all use of alcohol as a coping mechanism. For example, if you use alcohol on a daily basis to get to sleep or to relax then you would fit the criteria of the label. Twenty years ago we were not talking about alcohol use disorder. We love to give things a label these days. Does labeling a child as learning disabled help or hinder, now that’s a whole other subject. However, there is lots of documented evidence that people become what they are labeled. Back in the day, they did experiments with school children. They told teachers that they had been given a class full of very gifted children and to make sure they meet their potential. The kids went on the get straight A’s and perform massively above the norm. You may think ‘so what’ they were gifted kids, what do you expect? Well, the truth is they were just average kids, but the teacher treated them differently when he/she was told they are ‘gifted’. The opposite position also delivered some shocking results too. When they told teachers they had been assigned a class of low-achievers. Guess what happened? Yes, the children scored poorly in their exams and generally performs well under the national average. This is despite the fact that they were only every average ability kids in the first place. Cruel but revealing when it comes to the power or perhaps I should danger of applying labels to people. I believe AUD became a thing purely because people don’t like the word alcoholic, especially career or status-minded individuals. I completely understand this position. Back when I was a drinker I refused to label myself as an alcoholic because I didn’t believe I fit the stereotype. I wasn’t missing work, getting driving violations or sitting in the park swigging whiskey from a brown paper bag. Even today, as I have previously mentioned I don’t use the term alcoholic to describe my addiction. While I understand the reasons for coming up with a more palatable phrase. I also believe there is danger in doing so! Alcohol Use Disorder is the sort of wording that implies that it is an unavoidable condition such as autism. It almost suggests that the sufferer of the condition was just very unfortunate somehow. “Hey did you hear about Dave, poor guy’s only gone and caught AUD”. 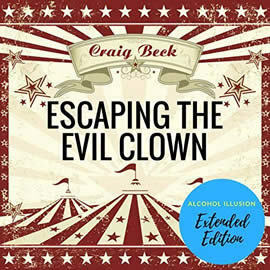 I get that nobody wants to get a reputation for being an alcoholic but to come up with a more digestible label may dissociate people from the true cause (and solution) of their issue. With any addiction, the primary obstacle is always denial. You have to admit that a problem exists before you have any hope of addressing it. At least a few times a week someone will approach me with concerns about the drinking of a close friend or family member. 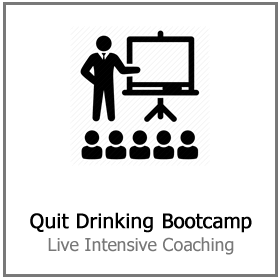 They want to know what they can do to help them cut down or quit drinking completely. The first question I always ask is ‘do they admit they have a problem’. Followed by ‘do they want to stop drinking’. Answering either question with no will invariably mean you can’t do anything to help them at the moment. People who don’t want to stop drinking don’t! You can’t force them or trick them into it. 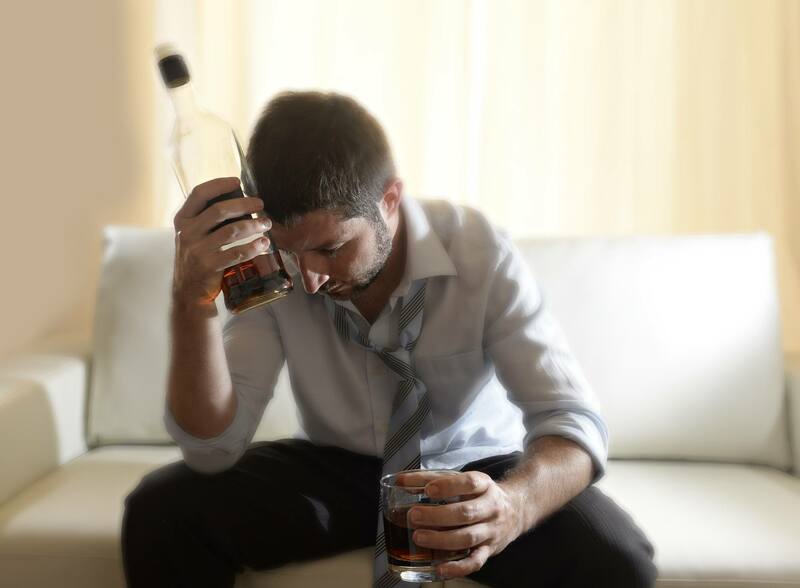 So if people are using the term Alcohol Use Disorder to protect their reputation while they are busy dealing with the problem then I see no issue. However, if they are claiming to have AUD purely to throw a pity party and validate their drinking behavior then the consequences should be obvious. I am not applying blame to anyone here; I am not saying people are at fault for their drinking problems. The nature of the drug is to get you hooked. Getting addicted shouldn’t be considered to be unusual or an indicator of weakness. Alcohol is addictive, very addictive. 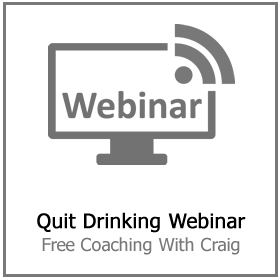 If you drink it long enough you will develop a problem – this much is inevitable. However, dealing with it effectively always means taking 100% responsibility for it. No matter what label you choose to give yourself – you created this problem by repeatedly drinking an addictive drug. Only you can fix the problem by the actions you take next. My advice to people who are concerned about their drinking is; don’t get hung up on labels. Focus your energy and passion on the solution to your problem rather than the explanation for it being there in the first place. There should be no indignity in admitting you have a problem with alcohol. Smokers don’t have to hang their head in shame and admit that they were previously addicted to nicotine. Ex-smokers are often praised for kicking the habit. Meanwhile, ex-drinkers are still approached with a certain amount of pity and sympathy. This will change, and so it should but I suspect it will take time. We are only seeing the very tip of the alcoholism iceberg at the moment. You don’t need a label to deal with this… just deal with it! 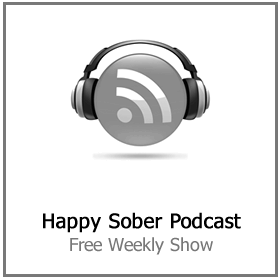 If you are ready to quit drinking and live your own happy sober life. 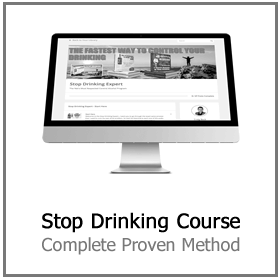 Click here for more information on the Stop Drinking Expert method and how it can help you get back in control of your drinking today. 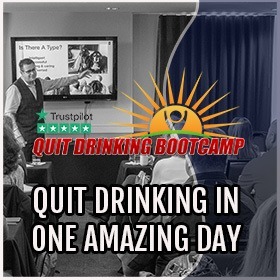 Forget everything you have been told about alcohol use disorder and quitting drinking. It does not have to be difficult, painful or expensive. 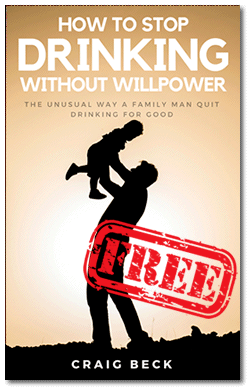 You can get started today and without a drop of willpower required.